As summer winds down, lots of us are getting into new routines, many of which can often include daycare for our littles! If you’re interviewing potential childcare facilities – whether they’re daycare centres or private day homes – be sure to be upfront about using cloth diapers. 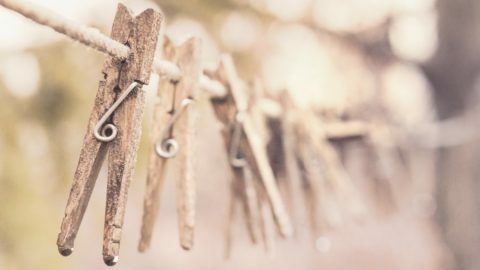 If your prospective childcare provider seems a bit hesitant about using cloth, don’t despair – instead, embrace the situation as an opportunity to demonstrate just how easy today’s cloth diapers really are! 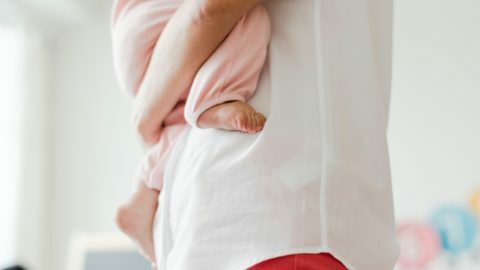 If your preferred caregiver agrees to continue using cloth diapers for your babe, read on for a few tips to help create an easy, streamlined process for everyone involved. Regardless of your cloth diaper style, be sure to send everything over already preassembled for quick and easy changes. I would strongly suggest using liners (either disposable or reusable) for easier poop removal. Have the diaper and liner paired up, put together, and folded, ready to go straight on the bum! When it comes to our personal experience as parents, I prefer to send our hook and loop All-In-One diapers to the day home, making the entire process just as easy as using disposables for anyone caring for our son. Be sure to send the daycare a more-than-adequate supply of clean cloth diapers; either send a week’s worth of fresh diapers on Monday, or send a typical day’s changes plus a couple of extras each morning – and for everyone’s sake, take home the dirty diapers at every pickup! 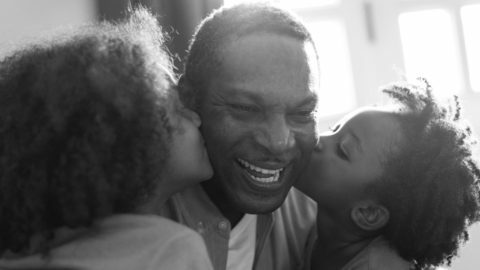 Since the vast majority of caregivers will not empty poopy diapers, this saves those stains from setting in and keeps any tough-to-shake stink from starting. 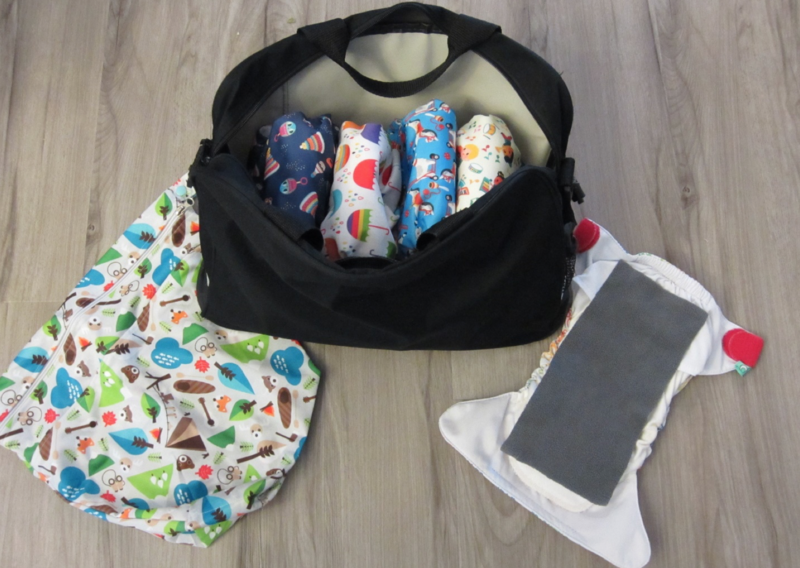 When it comes to cloth diapering at the day home, wetbags will become your best friend! Not only do they assist with storage and organization, but they make it super-easy to contain all those dirty diapers. 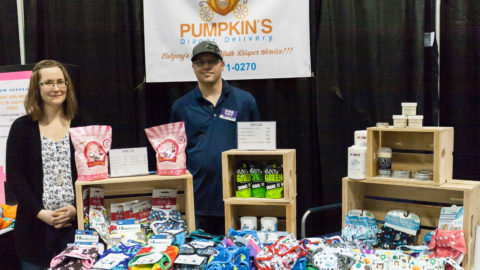 Some facilities may request that poopy diapers are contained in their own bag, in which case doggy poop bags can be tied shut and tossed into your wetbag for sorting at home. Don’t forget to include a cloth-safe bum cream in your bag! These products are easy for the caregiver to apply to any redness and help to avoid zinc staining or other potential repelling issues. Our diaper bag is all set for the day home with our AIO’s, fleece liners and wetbag! To ensure cloth diapering success right from the start, it’s important to speak directly with your child’s care provider and answer any questions her or she might have on the topic. In larger centers, the coordinator may agree to use cloth diapers, but it will be beneficial to all if you take a few minutes on the first day to demonstrate your diaper system to the provider in your child’s room. Even the best of us can sometimes feel confused or overwhelmed the first time we encounter cloth diapers, so leaving detailed instructions and illustrated diagrams in your child’s bag may be extra helpful for the caregiver. Below is a great example of the detailed fit illustration, including step-by-step instructions that apply to nearly every type of cloth diaper! If you truly want your childcare provider to succeed with cloth diapering your babe, be proactive and take steps to follow-up daily during that crucial first week. Open communication allows the provider to ask questions and even express frustration – be supportive and encouraging with answers, but most importantly, be patient! We’ve all gone through our own learning curve when it comes to cloth diapering, but with a bit of dialogue and the proper follow-up, you and your childcare provider will be off to the races in no time. 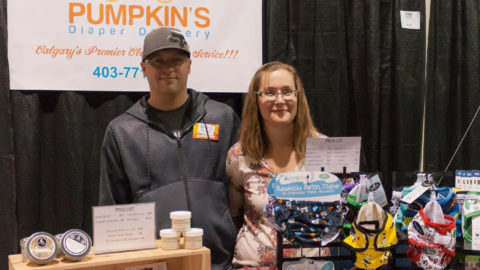 Good luck – and if you have any other questions about how to introduce cloth diapering to your day home or daycare centre, give us a call at Pumpkin’s Diaper Delivery today. 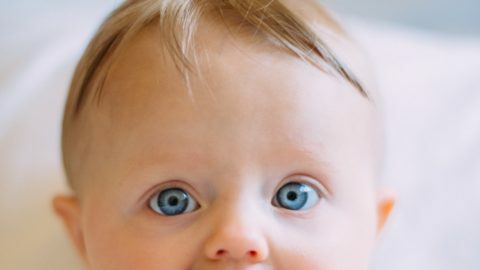 We’ll be happy to chat with you about our own experience as parents, and will be glad to offer you any tips or tricks that might help you out along the way! Making the Most out of These Last Weeks of SummerSee You at the Show!